Page after page, and book after book, differences keep popping up. If you were to take the average English Bible and translate it into Russian, you would get something that is quite different from many of the Bibles that are actually in Russia. Many people are surprised to find out that there are significant differences between Bibles in Russia, and most Bibles in America. Most English Bibles contain 66 books, while Russian Bibles traditionally contain more than 70. And within individual books, there are important differences as well. Russian Bibles contain an important prophecy of Christ that is fulfilled in the Gospel of Matthew. American Bibles are missing it. Russian Bibles contain the story about a family who is referenced in the book of Hebrews. American Bibles don't have it. Russian Bibles tell us exactly who Job is, and how he is related to Abraham, Isaac, and Jacob. American Bibles keep it a mystery. Russian Bibles tell us how Queen Esther's uncle Mordecai prayed, and how God was at the center of the entire story. In most American Bibles, the book of Esther never mentions God at all. Over 2000 years ago, in the ancient, original languages, there was already more than one version of Old Testament Scripture. 1 - The first set of ancient Hebrew texts was translated into Greek. This translation was known as the Septuagint. Unfortunately, many of the Hebrew texts were later lost. Thankfully, the Greek version is still available today. 2 - A second set of ancient Hebrew texts were kept in Hebrew, and were hand-copied from one scroll to another. Around the 10th century — about 1000 years ago — a group of Jews called the "Masorites" contributed to this process. Their 10th and 11th century manuscripts are the basis for what is called the Masoretic Text today. So, why are Historic Russian Bibles different from American Bibles? Russian Bibles historically have relied heavily on the Septuagint, while most American Bibles rely heavily on the Masoretic Text. Indeed, I used to believe the Masoretic Text was a perfect copy of the original Old Testament. I used to believe that the Masoretic Text was how God divinely preserved the Hebrew Scriptures throughout the ages. The oldest copies of the Masoretic Text only date back to the 10th century, nearly 1000 years after the time of Christ. And these texts differ from the originals in many specific ways. The Masoretic text is named after the Masoretes, who were scribes and Torah scholars who worked in the middle-east between the 7th and 11th centuries. The texts they received, and the edits they provided, ensured that the modern Jewish texts would manifest a notable departure from the original Hebrew Scriptures. The Masoretes admitted that they received corrupted texts to begin with. The Masoretic Text is written with a radically different alphabet than the original. The Masoretes added vowel points which did not exist in the original. The Masoretic Text excluded several books from the Old Testament scriptures. The Masoretic Text includes changes to prophecy and doctrine. Many people believe that the ancient Hebrew text of Scripture was divinely preserved for many centuries, and was ultimately recorded in what we now call the "Masoretic Text". But what did the Masoretes themselves believe? Did they believe they were perfectly preserving the ancient text? Did they even think they had received a perfect text to begin with? History says "no" . . . Early rabbinic sources, from around 200 CE, mention several passages of Scripture in which the conclusion is inevitable that the ancient reading must have differed from that of the present text. . . . Rabbi Simon ben Pazzi (3rd century) calls these readings "emendations of the Scribes" (tikkune Soferim; Midrash Genesis Rabbah xlix. 7), assuming that the Scribes actually made the changes. This view was adopted by the later Midrash and by the majority of Masoretes. In other words, the Masorites themselves felt they had received a partly corrupted text. A stream cannot rise higher than its source. If the texts they started with were corrupted, then even a perfect transmission of those texts would only serve to preserve the mistakes. Even if the Masoretes demonstrated great care when copying the texts, their diligence would not bring about the correction of even one error. In addition to these intentional changes by Hebrew scribes, there also appear to be a number of accidental changes which they allowed to creep into the Hebrew text. For example, consider Psalm 145 . . .
Psalm 145 is an acrostic psalm where each verse begins with the next letter of the Hebrew alphabet. In the Aleppo Codex the first verse begins with the letter aleph, the second with the beyt, the third with the gimel, and so on. Verse 13 begins with the letter מ (mem-top highlighted letter), the 13th letter of the Hebrew alphabet; the next verse begins with the letter ס (samech-bottom highlighted letter), the 15th letter of the Hebrew alphabet. 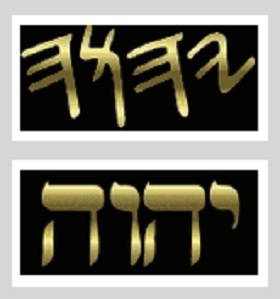 There is no verse beginning with the 14th letter נ (nun). Yet the Septuagint (LXX) Greek translation of the Old Testament does include the missing verse. And when that verse is translated back into Hebrew, it starts with the Hebrew letter נ (nun) which was missing from the Masoretic Text. When we examine Psalm 145 from the Dead Sea Scrolls, we find between the verse beginning with the מ (mem-top) and the verse beginning with the ס (samech-bottom), the verse beginning with the letter נ (nun-center). This verse, missing from the Aleppo Codex, and missing from all modern Hebrew Bibles that are copied from this codex, but found in the Dead Sea Scrolls, says נאמן אלוהים בדבריו וחסיד בכול מעשיו (The Lord is faithful in His words and holy in all His works). The missing verse reads, "The Lord is faithful in His words and holy in all His works." This verse can be found in the Orthodox Study Bible, which relies on the Septuagint. But this verse is absent from the King James Version (KJV), the New King James Version (NKJV), the Complete Jewish Bible, and every other translation which is based on the Masoretic Text. In this particular case, it is easy to demonstrate that the Masoretic Text is in error, for it is obvious that Psalm 145 was originally written as an acrostic Psalm. But what are we to make of the thousands of other locations where the Masoretic Text diverges from the Septuagint? If the Masoretic Text could completely erase an entire verse from one of the Psalms, how many other passages of Scripture have been edited? How many other verses have been erased? authors of the Old Testament. If Moses were to see a copy of the Masoretic Text, he wouldn't be able to read it. As discussed in this recent post, the original Old Testament scriptures were written in Paleo-Hebrew, a text closely related to the ancient Phonecian writing system. The Masoretic Text is written with an alphabet which was borrowed from Assyria (Persia) around the 6th-7th century B.C., and is almost 1000 years newer than the form of writing used by Moses, David, and most of the Old Testament authors. For thousands of years, ancient Hebrew was only written with consonants, no vowels. When reading these texts, they had to supply all of the vowels from memory, based on oral tradition. In Hebrew, just like modern languages, vowels can make a big difference. The change of a single vowel can radically change the meaning of a word. An example in English is the difference between "SLAP" and "SLIP". These words have very different definitions. Yet if our language was written without vowels, both of these words would be written "SLP". Thus the vowels are very important. The most extensive change the Masoretes brought to the Hebrew text was the addition of vowel points. In an attempt to solidfy for all-time the "correct" readings of all the Hebrew Scriptures, the Masoretes added a series of dots to the text, identifying which vowel to use in any given location. "The Masorets were the most extensive Jewish commentators which that nation could ever boast. The system of punctuation, probably invented by them, is a continual gloss on the Law and the Prophets; their vowel points, and prosaic and metrical accents, &c., give every word to which they are affixed a peculiar kind of meaning, which in their simple state, multitudes of them can by no means bear. The vowel points alone add whole conjugations to the language. This system is one of the most artificial, particular, and extensive comments ever written on the Word of God; for there is not one word in the Bible that is not the subject of a particular gloss through its influence." "As a Hebrew scholar, he concluded that the vowel points and accents were not an original part of Hebrew, but were inserted by the Masorete Jews of Tiberias, not earlier then the 5th Century AD, and that the primitive Hebrew characters are Aramaic and were substituted for the more ancient at the time of the captivity. . . The various readings in the Old Testament Text and the differences between the ancient versions and the Masoretic Text convinced him that the integrity of the Hebrew text as held by Protestants, was untenable." Bibles based on the Septuagint. Many Protestants love the Masoretic Text, believing it to be a trustworthy representation of the original Hebrew text of Scripture. Yet, at the same time, most Protestants reject Orthodox Church Tradition as being untrustworthy. They believe that the Church's oral tradition could not possibly preserve Truth over a long period of time. Therefore, the vowel points of the Masoretic Text put Protestants in a precarious position. If they believe that the Masoretic vowels are not trustworthy, then they call the Masoretic Text itself into question. But if they believe that the Masoretic vowels are trustworthy, then they are forced to believe that the Jews successfully preserved the vowels of Scripture for thousands of years, through oral tradition alone, until the Masoretes finally invented the vowel points hundreds of years after Christ. Either conclusion is at odds with mainstream Protestant thought. Either oral tradition can be trusted, or it can't. If it can be trusted, then there is no reason to reject the Traditions of the Orthodox Church, which have been preserved for nearly 2000 years. But if traditions are always untrustworthy, then the Masoretic vowel points are also untrustworthy, and should be rejected. With the exception of two books, the Deuterocanon was originally written in Hebrew. In three places, the Talmud explicitly refers to the book of Sirach as "Scripture". Jesus celebrated Hanukkah, a feast which originates in the book of 1 Maccabees, and nowhere else in the Old Testament. The New Testament book of Hebrews recounts the stories of multiple Old Testament saints, including a reference to martyrs in the book of 2 Maccabees. The book of Wisdom includes a striking prophecy of Christ, and its fulfillment is recorded in Matthew 27. Numerous findings among the Dead Sea Scrolls suggest the existence of 1st century Jewish communities which accepted many of the Deuterocanonical books as authentic Scripture. Many thousands of 1st-century Christians were converts from Judaism. The early Church accepted the inspiration of the Deuterocanon, and frequently quoted authoritatively from books such as Wisdom, Sirach, and Tobit. This early Christian practice suggests that many Jews accepted these books, even prior to their conversion to Christianity. Ethiopian Jews preserved the ancient Jewish acceptance of the Septuagint, including much of its canon of Scripture. Sirach, Judith, Baruch, and Tobit are among the books included in the canon of the Ethiopian Jews. These reasons, among others, suggest the existence of a large 1st-century Jewish community which accepted the Deuterocanon as inspired Scripture. When compiling any given passage of Scripture, the Masoretes had to choose among multiple versions of the ancient Hebrew texts. In some cases the textual differences were relatively inconsequential. For example, two texts may differ over the spelling of a person's name. However, in other cases they were presented with textual variants which made a considerable impact upon doctrine or prophecy. In cases like these, were the Masoretes completely objective? Or did their anti-Christian biases influence any of their editing decisions? These are not random, inconsequential differences between the texts. Rather, these appear to be places where the Masoretes (or their forebears) had a varied selection of texts to consider, and their decisions were influenced by anti-Christian bias. Simply by choosing one Hebrew text over another, they were able to subvert the Incarnation, the virgin birth, the deity of Christ, His healing of the blind, His crucifixion, and His salvation of the Gentiles. The Jewish scribes were able to edit Jesus out of many important passages, simply by rejecting one Hebrew text, and selecting (or editing) another text instead. 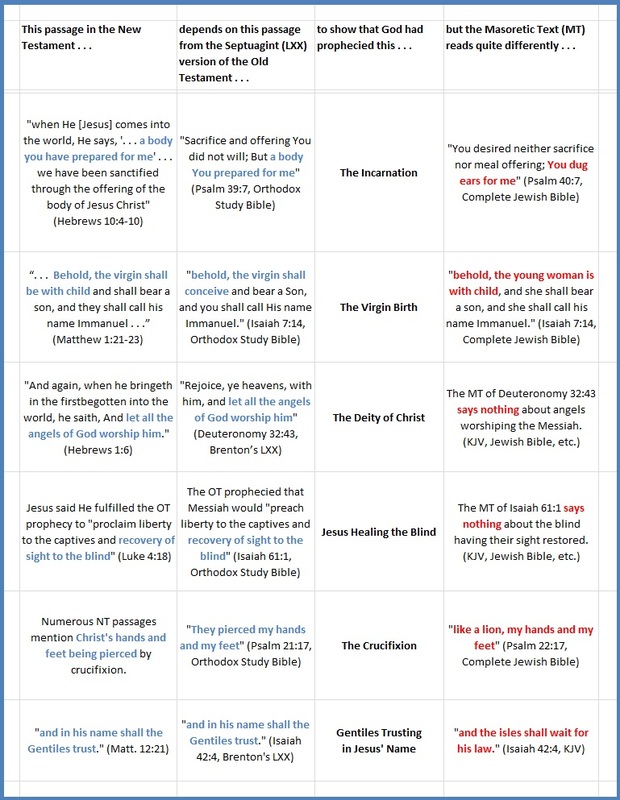 various translations of the Bible. Thus, the Masoretic Text has not perfectly preserved the original Hebrew text of Scripture. The Masoretes received corrupted texts to begin with, they used an alphabet which was radically different from the original Hebrew, they added countless vowel points which did not exist in the original, they excluded several books from the Old Testament scriptures, and they included a number of significant changes to prophecy and doctrine. It would seem that the Septuagint (LXX) translation is not only far more ancient than the Masoretic Text . . . the Septuagint is far more accurate as well. It is a more faithful representation of the original Hebrew Scriptures. Perhaps that is why Jesus and the apostles frequently quoted from the Septuagint, and accorded it full authority as the inspired Word of God. In English there are Orthodox Bibles and Catholic Bibles containing books from the Septuagint, which are missing from the Masoretic. Thus, for those particular Bible versions, many of the critiques in this article would not apply. And even though Russian Bibles historically followed the Septuagint text, there are certain newer translations which incorporate aspects of the Masoretic Text in certain books (though not in all). Thankfully, this modern Masoretic influence is much smaller than one might expect. In certain places where there are significant differences between the Septuagint and the Masoretic, the Russian Synodal Bible still keeps the Septuagint text. The online Bible provided by the Official Site for the Moscow Patriarchate includes important texts such as the final verses of the book of Job and Mordecai's prayer in the book of Esther. And even this modern Bible contains the same books as the Septuagint, including Wisdom, Tobit, Sirach, and the rest. 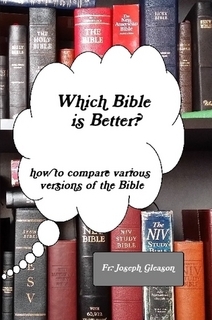 So, even to this day, there continue to be significant differences between most Russian Bibles, and most English ones.